Progressive Chevrolet Will Beat Any Competitor’s Price! If you’re ready to buy a new Chevrolet in Massillon, OH, don’t look any further than Progressive Chevrolet! Here at our Massillon, OH, Chevy dealership, we have a wide variety of new Chevrolet vehicles for sale, and the best prices around. 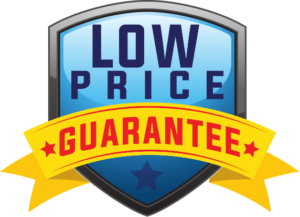 In fact, we’re so confident that we have the best prices of all our competitors that we’ll pay you $10,000 if we don’t beat another dealership’s price. Just prove to us that another dealership offered you a better price, and we’ll beat it! So how does it work? How do you take advantage of this incredible offer? All you have to do is bring us a written purchase offer from a competing car dealership in Ohio. If you’ve already received a written purchase offer from Progressive Chevrolet, you’ll need to provide us with proof of the lower price offer within five (5) days. This needs to be an original written purchase offer for a new car or truck and must be signed by an authorized dealership representative. You’ll need to ensure they include the dealership’s name, address and telephone number, as well as the vehicle’s year, make, model, vehicle identification number and cash price. The price they give you must be the cash price for the vehicle, before any manufacturer or dealer rebates, trade allowances, incentives and other fees. Once you show us this information, we’ll be able to determine if the vehicle in question was actually purchased or leased from the competing dealership for the agreed upon price. Once we go through this process, if we determine that you did pay less for a vehicle that we have on our lot elsewhere, we’ll issue you a check for $10,000! At Progressive Chevrolet, our customers mean everything to us, and we want you to be confident that you’re always getting the best price when you shop with us. This is just one of the many ways we’ll go above and beyond for you. Shop our new Chevy inventory today, and get the best price around on the car, truck or SUV that’s right for you. Progressive Chevrolet is confident that our prices are as low as or lower than you are likely to pay for the same new vehicle purchased from any of our competitors. If another Chevrolet dealership in Ohio offers to sell you the same new vehicle, let us know. If we don’t beat the competing dealership’s price, we’ll give you $10,000.00! Bring us a written purchase offer from the other dealership. If you have already obtained a written purchase offer from Progressive Chevrolet, you must provide us with proof of the lower price offer within five (5) days of the date that you obtain a written purchase offer from Progressive Chevrolet. Five (5) days means the fifth day (including weekends) after the date of the written purchase offer counting the next day as the first. The written purchase offer from the other dealership must be hand delivered by you to Progressive Chevrolet and must (i) be an original written purchase offer for a new car or truck and signed by an authorized dealership representative (photocopies will not be accepted); (ii) contain the dealership’s name, address and telephone number; and (iii) identify the vehicle’s year, make, model and vehicle identification number and the cash price of the vehicle. The purchase price that must be beat by Progressive Chevrolet will be the cash price for the vehicle before manufacturer or dealer rebates, trade allowances, incentives, optional products and services, or dealer-installed options and shall not include any taxes, title or registration fees, documentary service charges, or any item other than the cash price of the vehicle. Progressive Chevrolet must have a vehicle of the same year, make, model, trim, equipment, and MSRP as the vehicle described in the written purchase offer obtained from the other dealership in stock and available for immediate delivery (i.e. the vehicle must be a new car or truck with the same equipment/pre-installed accessories and must be physically present on Progressive Chevrolet’s lot). Special event, special order, demonstrator, damaged, and factory official vehicles are excluded from this promotion. If Progressive Chevrolet does not beat the competing dealership’s price, you must bring an original of the retail purchase/lease agreement (not a photocopy) signed by you and the Authorized Dealership Representative to us within five (5) days of the date upon which you received the written purchase offer from Progressive Chevrolet. Progressive Chevrolet must be able to verify that the vehicle was actually purchased or leased from the competing dealership for the price agreed upon in the written purchase agreement presented by you and that you accepted delivery of the vehicle before being obligated to issue a check made payable to you in the amount of $10,000.00. A check will be issued to you within seven (7) days of Progressive Chevrolet verifying that you purchased/leased and accepted delivery of the vehicle from the other dealership. You are only eligible for one payment under this Lower Price Guarantee in any twelve (12) month period. You are responsible for picking up the check at Progressive Chevrolet, for signing a receipt to acknowledge your receipt of the payment and for paying any applicable taxes related to money received pursuant to this promotion. The terms “other dealer”, “other dealership” and “competing dealership” refer to authorized franchise dealerships that sell the same line and make of new vehicles as Progressive Chevrolet and are licensed and located in the State of Ohio. This offer does not apply to online offers or buying services, to offers from dealerships located outside of Ohio, or to factory and supplier employee pricing. This promotion expires on March 31, 2019.